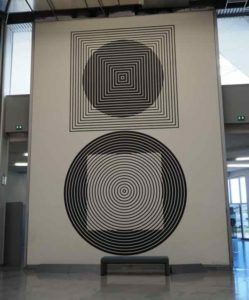 When I was in Gordes, Provence the very first time in 1978, the Château de Gordes had an art exhibit highlighting the work of Victor Vasarely, the father of “Op Art”. Op art is a form of abstract art where the illusion of movement is created by the combination of geometry, colours and patterns. What results are amazing optical illusions. I bought a print of one of his paintings but I gave it away many years later. I have always regretted this, which is why, I suppose, I returned to see those optical illusions at Fondation Vasarely in Aix-en-Provence. Perhaps I wanted to feel the same joy and excitement that I had during my first trip. But sadly, it was a disappointing visit and not because of the art. From 1970-1996, the Château de Gordes showcased Vasarely’s work and the town became a magnet for artists, including Marc Chagall and Jean Deyrolle, who chose to live and work in the perched village. Today the work of Belgium painter, Pol Mara is on display. Mara also lived in Gordes. 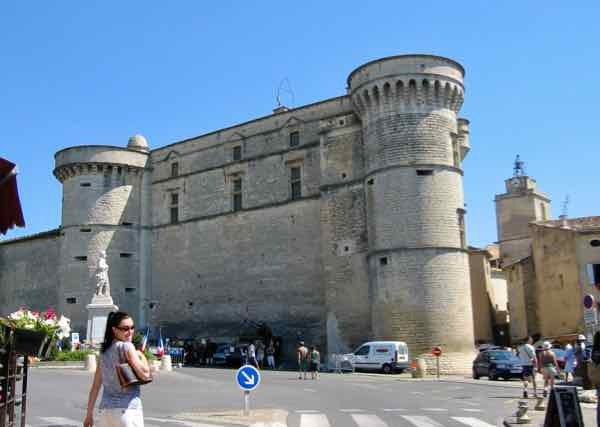 When you wander through the narrow cobblestone streets of Gordes, you will encounter a number of galleries and shops promoting local art. 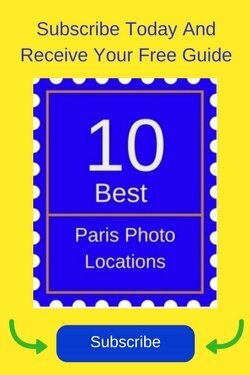 Gordes still remains a town that attracts painters, sculptors, and photographers. 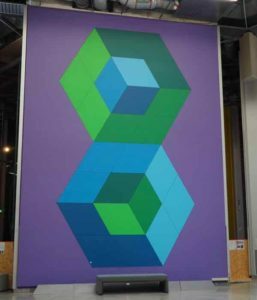 Victor Vasarely was born in Hungary and in the early 1930s moved to Paris, France, working as a graphic artist at advertising agencies. After the war, he began creating geometric abstract art and spent summers in Gordes, Provence. It is in this hilltop village that Vasarely opened his first museum. 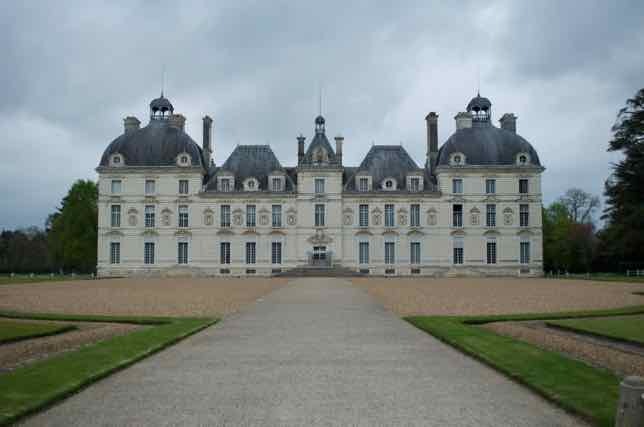 It stayed in the Château de Gordes for 26 years. 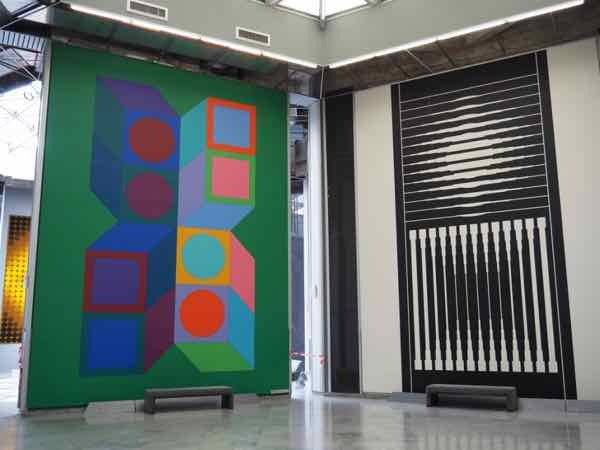 In 1976 Vasarely opened another museum in Aix-en-Provence, Fondation Vasarely, and his works of art were exhibited in a building that Vasarely designed. It was to incorporate technology and science and was to be an experimental centre. 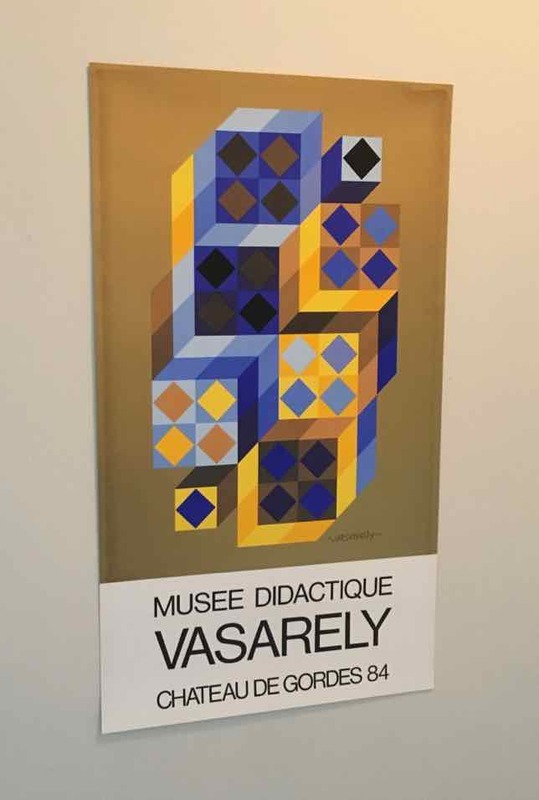 Vasarely’s art has been displayed throughout the world, notably at the Pompidou Centre in Paris as well as at the Vasarely Museum in Pécs, Hungary (his birthplace). 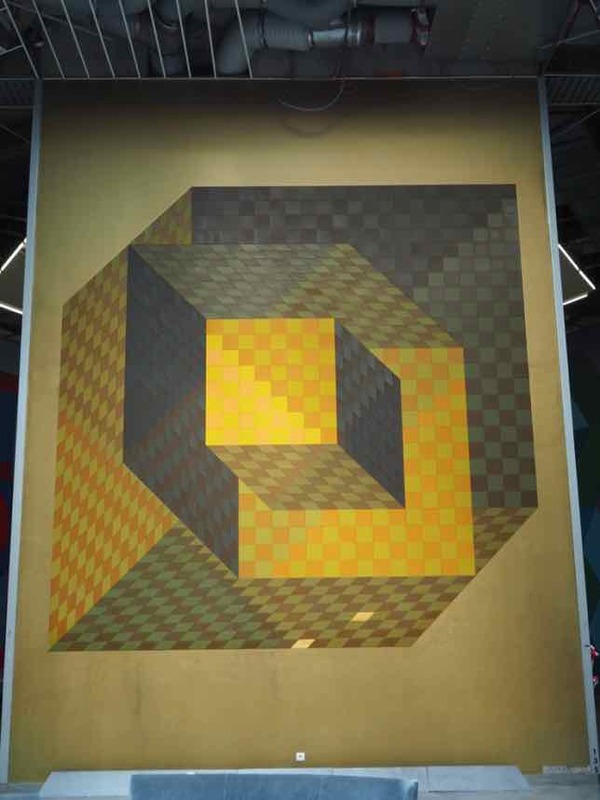 Victor Vasarely died in Paris at the age of 90 in 1997. So let me cut to the chase. Why was I disappointed with this museum? 1. 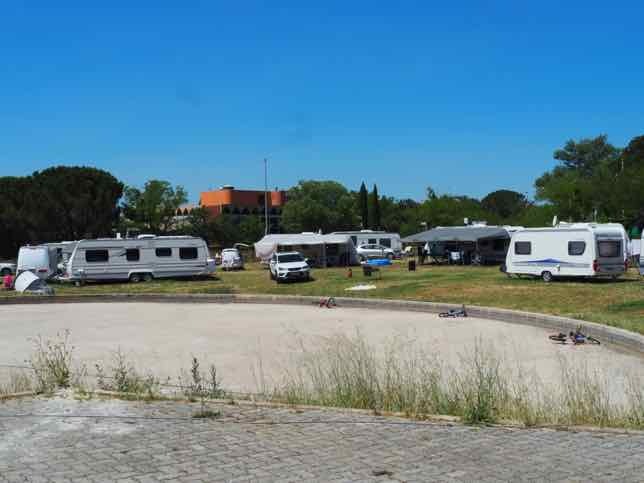 When you approach the museum, you see campers, yes, campers, occupying the land in front of the geometric building (Vasarely’s design) which is partly constructed of glass, aluminum and marble. The pond which was designed to reflect the design of the building was empty and hardly noticeable due to all the campers. I was informed the campers were to be “moved out” in the next week or so. Why they allowed to stay there is beyond me. 2. 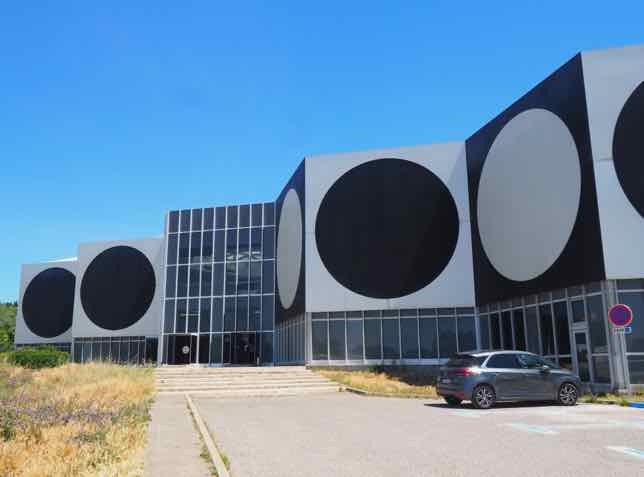 The Vasarely Foundation museum is in very bad shape. It has endured major leaks and has broken tiles, damaged ceilings, worn furniture, and peeling paint. It is in such a sad state of repair. To my surprise I discovered from a sign at the entrance that the museum is privately owned. It gets its revenue from donations, ticket and gift shop sales—-but obviously not enough funding to keep it from deteriorating. Some damaged art at the Vasarely Foundation Museum. They are continuing to work on fixing the roof, heating, air conditioning, and create proper spaces for temporary exhibitions. But for now, one has to endure seeing some damaged art, exposed ducts, and a limited exhibition in a deteriorating building. 3. Only three of the seven hexagonal exhibit rooms were open due to the renovations that have been in progress since 1981, although the Ministry of Culture finally got involved in 2010. 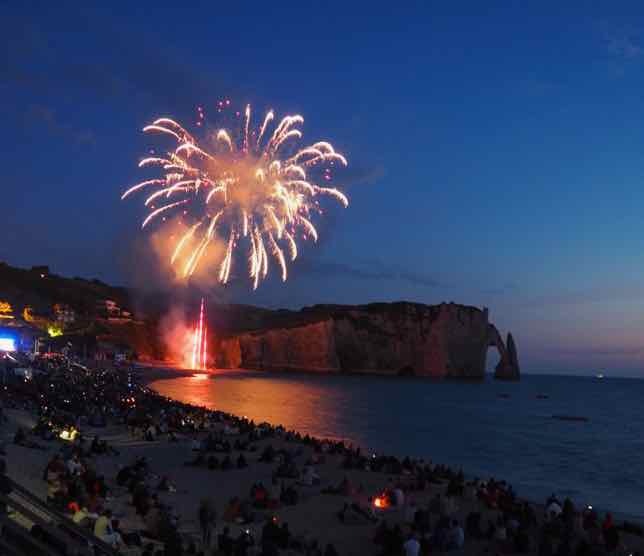 It is now deemed a Historic Monument. In spite of the state of disrepair, I am still glad I got to see some of Victor Vasarely artworks. There aren’t any doors to the rooms, just openings, allowing one to wander in and out. Each of the works of art are 8 metres high by 5 metres wide highlighting the geometric shapes and colours. Some are just black and white, while others have vibrant colours, rather psychedelic and reminiscent of the 1960s. At the end of my visit, I did buy a Vasarely print. Is it the same one I bought 39 years earlier? I think so. And this time, I won’t give it away. 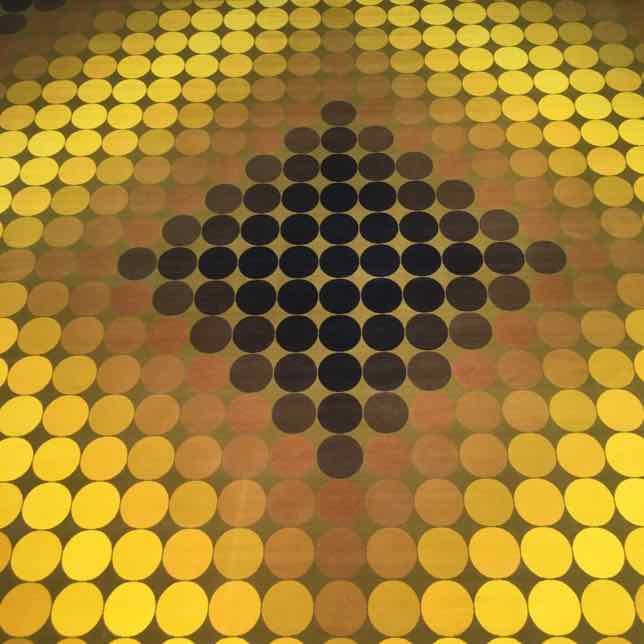 I still believe it’s worth a visit to see the optical illusions at the Fondation Vasarely in Aix-en-Provence. Just be prepared that the museum might not be in tip top shape. What a shame that the museum is in such poor repair. 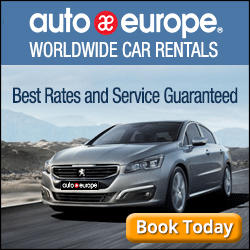 I’ll be sure to visit the next time I’m in Aix. Yes it is quite a shame. Not sure what’s taking them so long to get it back in shape. Perhaps money? 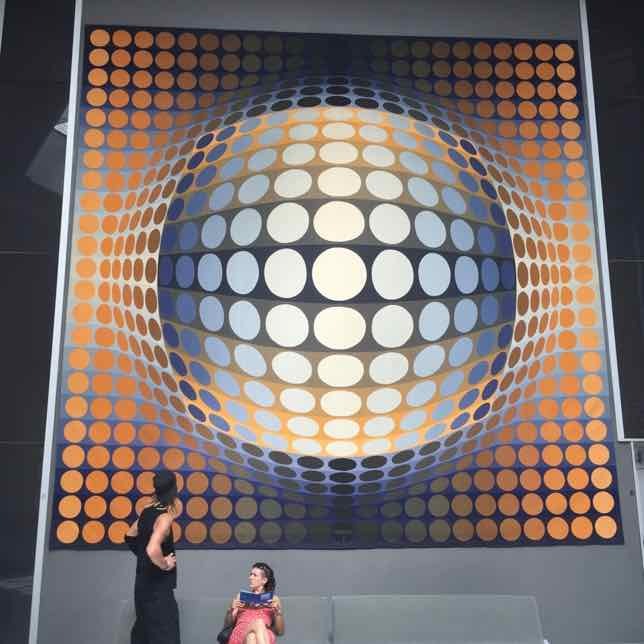 I visited the Fondation Vasarely in 1981, and still remember being blown away by his graphic art. What a shame that the museum hasn’t been properly maintained. 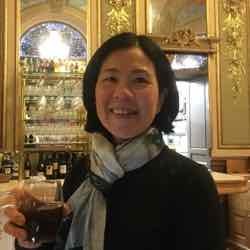 Still loving your blog, Jan! Thank you so much. 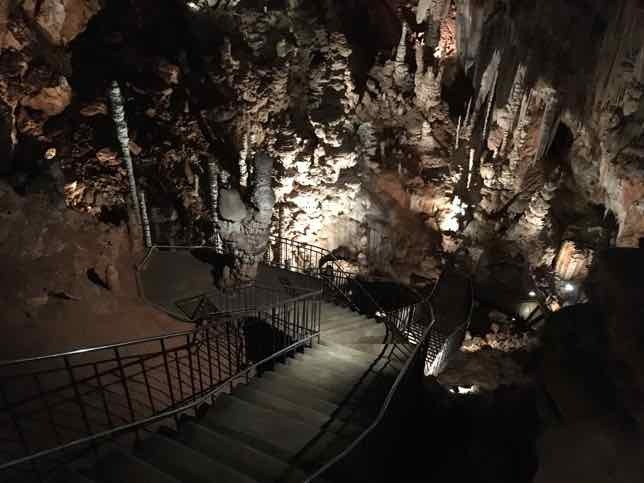 I appreciate you reading my blog! Just returned from Aix-en-Provence. The Fondation Vasarely is an absolute must-see! It’s obvious the centre is struggling and it occurs to one how heavy a shame it is that one sees billions spent on far less deserving enterprises than this. Is there no rich man or woman in this so-rich world that realizes the public’s need to be educated in the artistic skill and creative genius of this man, Victor Vasarely? I agree. I can’t believe there aren’t rich organizations who could donate money to support a museum of such importance.